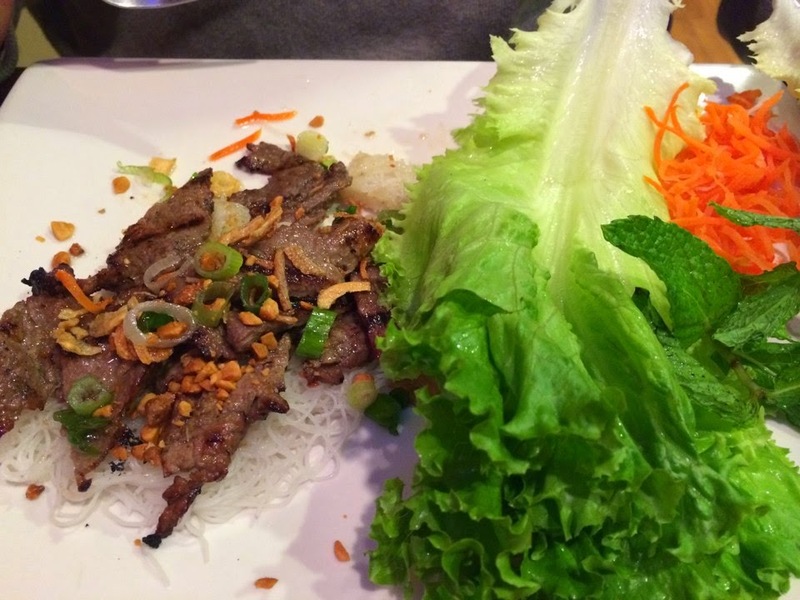 Every so often we crave some good Vietnamese food. Vietnamese cuisine is clearly not as popular a choice as Chinese, Thai or Japanese food, as a result, our choices are limited. This is unfortunate, as in many respects the cuisine is similar to both Chinese and Thai food, with much lighter and more refreshing sauces. 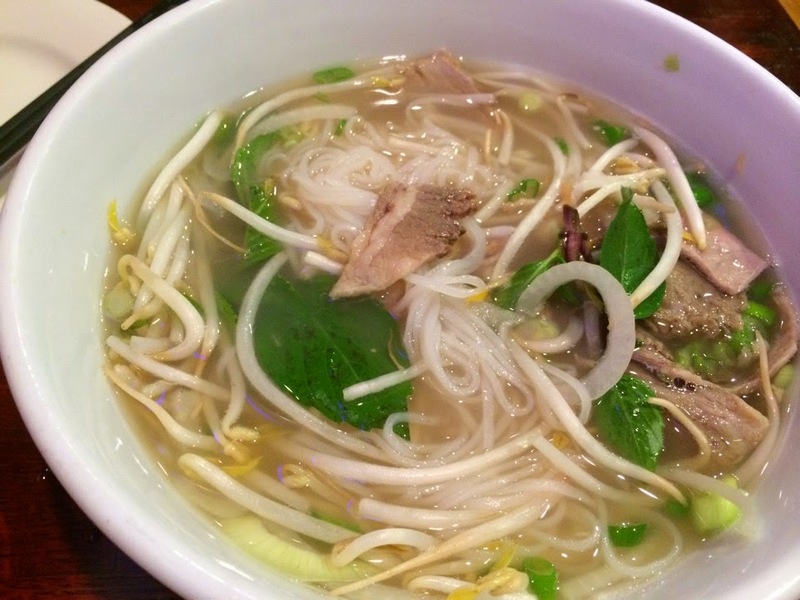 This week we decided to hit up Mekong Grill in Ridgewood, as Christine was craving Pho. We have eaten here before, once for lunch, and once for take-out. The restaurant is in the heart of Ridgewood, which means parking will be a challenge! We were pleased that the staff allowed us to call ahead and reserve a table, as after circling Ridgewood for 20+ minutes to find a parking spot, the last thing we wanted to hear is that there is a long wait. The restaurant is very casual, and is BYOB. We were greeted quickly, and given that we were both starving, we managed to get our orders in fast. Surprisingly, they did not have any bottled sparking water, which is our staple when eating out. We ordered spring rolls as an appetizer, they came out quickly and were crispy and very tasty. Christine ordered the Pho, which she enjoyed. I ordered a beef dish, which came with steamed angle hair noodles and lettuce wraps. The sauted beef was very tasty. What was disappointing was the size of the entree, at $17 was the most expensive item on the menu. I was convinced they mistakenly sent out the appetizer version of the dish...as it was that small. As a result, we placed an order of pan fried dumplings, which we both enjoyed. Website : no official website.